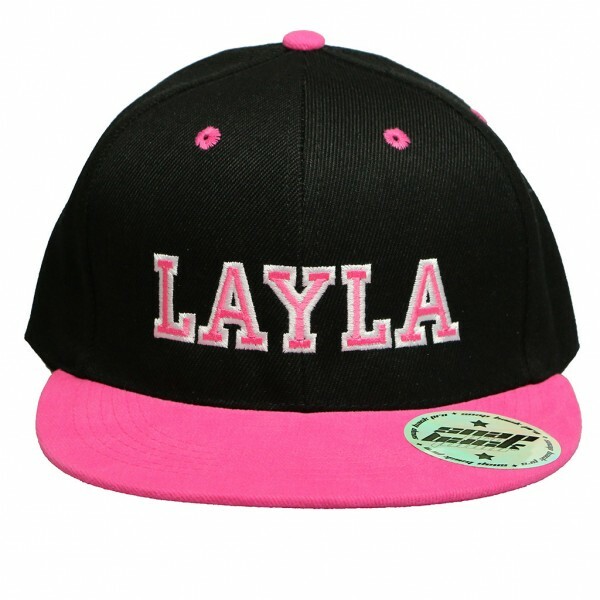 This pink and black trendy custom kids snapbacks is hugely popular and make wonderful presents for 3 – 8 year old girls or also work a treat for teams or special events. Personalise this trendy cyan and black hat with up to 10 letters in a classic baseball cap style font in their favourite colour (choose from 7). The cap itself is high quality made from sturdy fabric and the classic snapback design (complete with sticker of authenticity) is perfect for this generation of fashion savvy youth. If you have any questions about our Custom Kids Snapbacks, don’t hesitate to get in touch.